Cambiata means "changed" in Italian. This concert series celebrates changing styles and the enduring value of music. In several performances, The Center for Early Music Orchestra is featured. 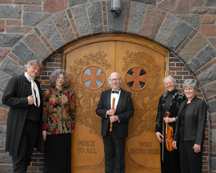 Faculty and friends use historical instruments to perform baroque and classical music. For information about our academic programs, visit the Music Department website.